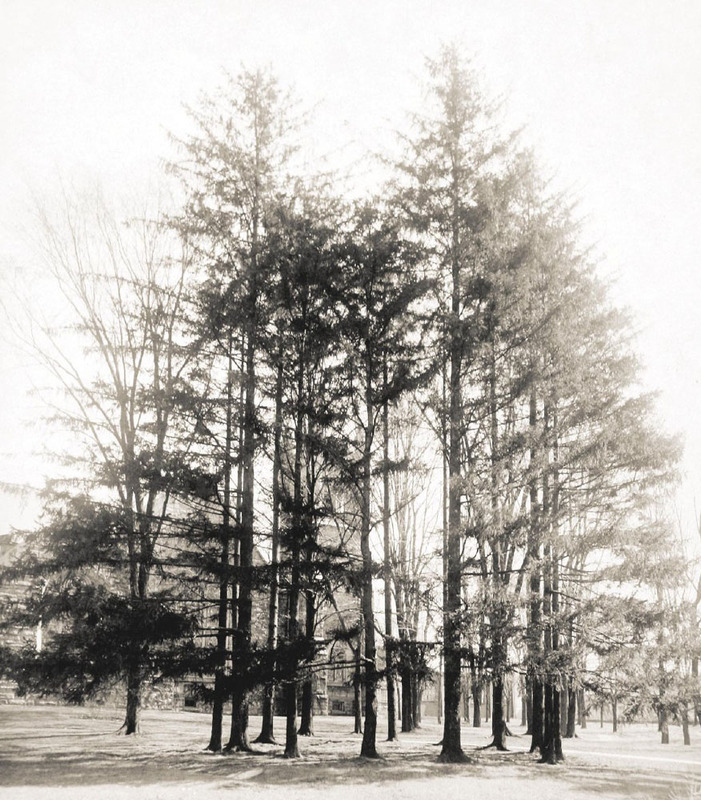 In 1873, the members of Allegheny College’s graduating class planted a circle of pine trees between present-day Ford Chapel and Newtown Observatory. A tree was planted for each of the fifteen members of the graduating class. Despite the name, the trees were actually Norway spruce. Tradition maintained that as each member of the class died, so too did a tree. By 1935, only two of the trees remained. In a memorial to the class of 1873 and their own graduating class, the Allegheny class of 1915 replanted fifteen red pine trees in a circle fifty feet in diameter. Today, only an arc of three of these trees remains. Many of the trees, planted on Bentley lawn were planted by students during the nineteenth century as a part of Allegheny College President John Barker’s Arbor Days initiative. President Barker found that the campus was rather bare and encouraged students to plant on campus a variety of tree species found in the nearby wooded areas. James M. Thoburn, class of 1857, enthusiastically responded to President Barker’s initiative by planting a pine southwest of Bentley Hall. The tree remained standing until a wind storm in 1987 knocked it down. 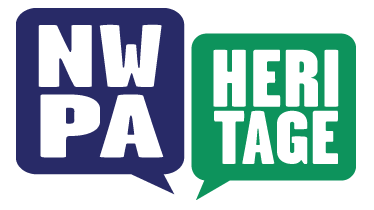 Nineteenth century records indicate the names and species of trees planted by other Alleghenians. J.W.R Reisinger, class of 1856, planted a pine tree south of Hulings Hall and J.D Stevens, class of 1859, planted his pine in the center of inner campus. Only a few of these trees remain, including some pines on Bentley lawn and a Norway spruce along Prospect Street. Rachel Raczynski, “Circle of Pines,” NW PA Heritage, accessed April 26, 2019, http://nwpaheritage.org/items/show/47.